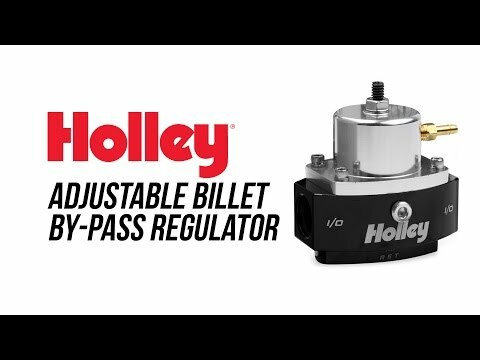 Holley® Billet Fuel Pressure Regulators are part of a complete line of fuel system products from Holley®. They are precision machined from 6061-T6 billet aluminum for strength and durability. They feature a black bright dip anodized body and a clear bright dip anodized top for corrosion resistance and good looks. 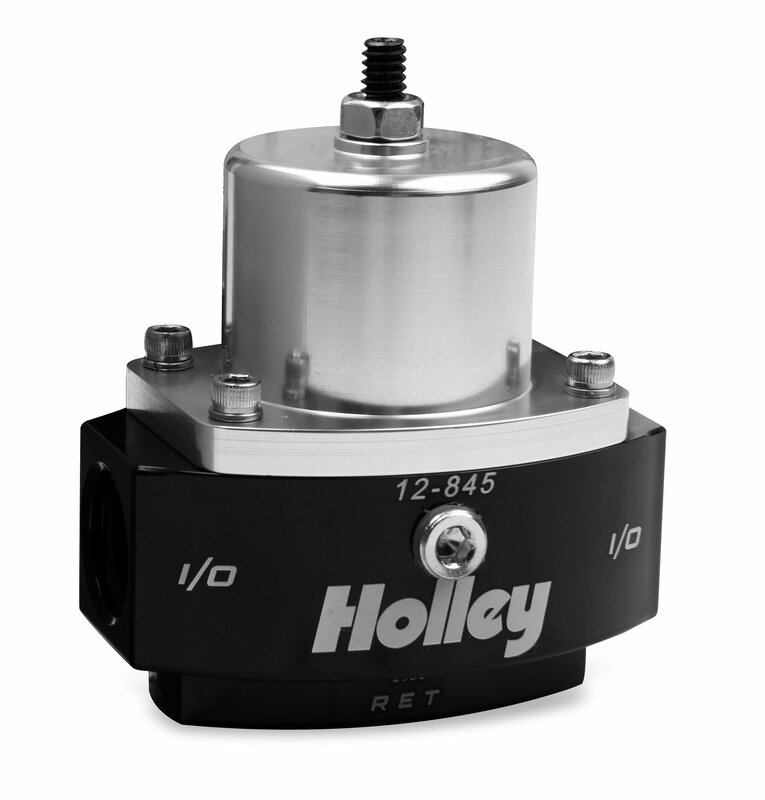 The Holley 12-845 fuel pressure regulator features (1) -8 AN O-ring inlet, (1) -8 AN O-ring outlet, (1) -6 AN O-ring return.